Green Gummy is a 75% indica-dominant hybrid from Exotic Seed. It has great growing traits - a flowering time of 8-9 weeks, and a yield of 450-500g/m². Covered in sticky resin, Green Gummy is a potent everyday smoke with a happy, medicinal high and lovely scent and flavours. It is a resilient and versatile strain suitable for growers of all skill levels. Exotic Seed made Green Gummy for all indica lovers out there. It is a feminized 75% indica hybrid. The parent plants are H.O.G and P.P. 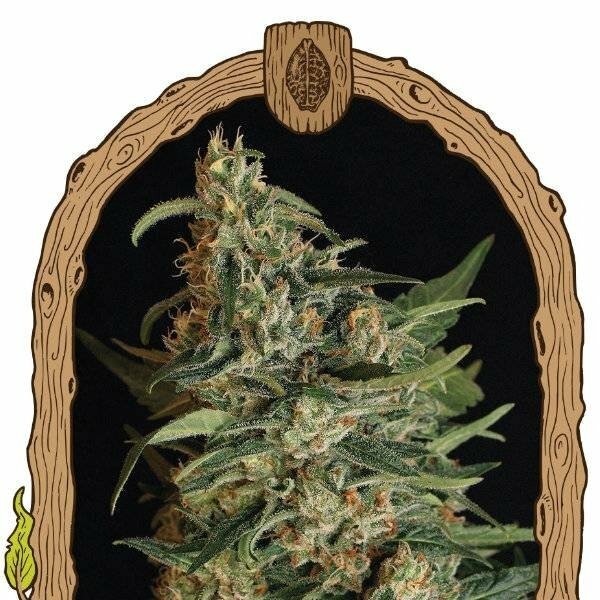 #7, Exotic Seed’s strains whose behaviours they know intimately. It is a recipe for a great hybrid. Green Gummy has a short flowering time of just 8-9 weeks. The yield is medium to large, averaging 450-500g/m². It is a very robust and resilient strain suitable for both outdoor and indoor growing. It is easy to grow and even novice growers should be able to get the most out of Green Gummy. Green Gummy’s buds are infested with calyxes and covered in sticky resin. Smoking Green Gummy gives you a very strong, happy high. It is suitable for those under a lot of stress, both physical and emotional. The smoking experience is enhanced by sweet flavours and the gummy bear aroma of the strain. Green Gummy matches the vision of Exotic Seeds perfectly. Innovative, clean and subtle, but clearly definable - it is a strain for true cannabis connoisseurs. Green Gummy will enchant you with its flavours, scent and high - a definite must.